To set up an interview with Glenn please email interviews@glennshaw.com. Glenn will be available for interview from Antartica by satellite phone between the 22nd and 25th of December. Please use the above email address to set up the interview at least 24hrs in advance. "You Are An Inspiration To Us All." Disabled explorer Glenn Shaw has just met Kenneth Branagh at the Royal Geographical Society in London to discuss his plans to become the first disabled person to kayak off the coast of Antarctica. Glenn departs on Saturday 15th December. 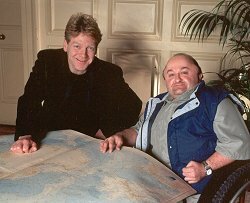 At the end of their meeting, Branagh - who spent two months in the Arctic filming the forthcoming Channel 4 drama about the polar hero Sir Ernest Shackleton - told Shaw, "You are an inspiration to us all." Glenn suffers from 'Brittle Bones'. He knows that the slightest knock can result in a broken limb. When he is not in his kayak, Glenn lives in his custom-made wheelchair. But Glenn is an adventurer, and treats his physical disability as simply one more difficulty to overcome. 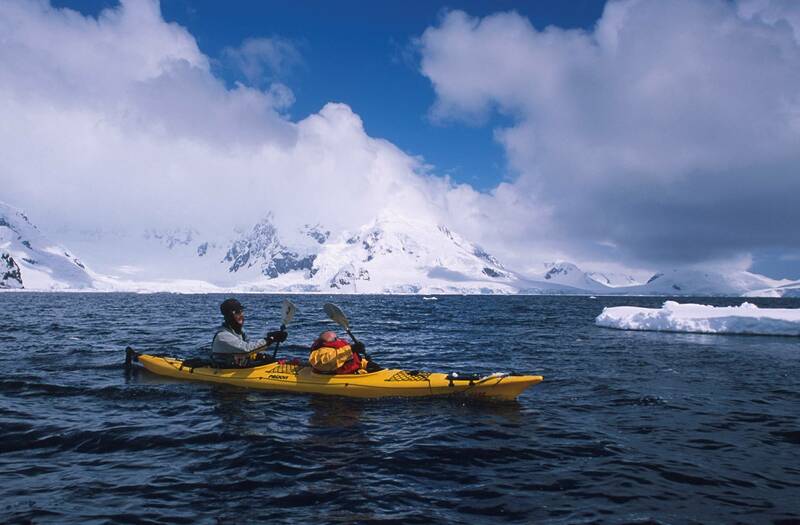 "I've wanted to kayak amongst the penguins for years," Glenn enthuses. "Now, thanks to a Winston Churchill Memorial Trust Fellowship, I have been able to turn my dream into reality." Glenn's previous adventures have included a trek in the Himalaya, four attempts to cross Canada's Continental Divide using huskies, and a solo canoe voyage through British Columbia and Alberta. 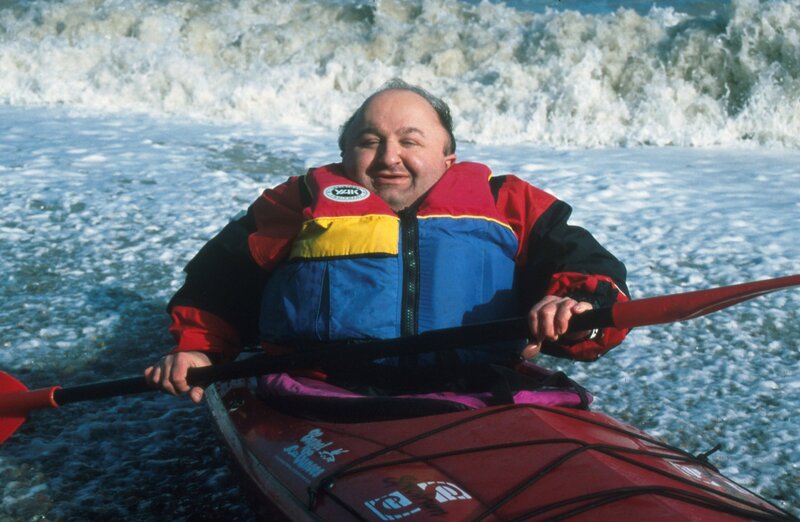 Disabled explorer Glenn Shaw is all set to fulfil a lifetime ambition - to kayak off the coast of Antarctica. By anyone's standards an ambitious project, the single detail that makes this venture all the more remarkable is that when he's not in his kayak, Glenn is confined to a wheelchair (or 'snowmobile', as Glenn calls his custom-built vehicle). Glenn suffers from a medical condition known as 'brittle bones'. He knows that the slightest knock can result in a broken limb. A simple fall might kill him outright. But Glenn is an adventurer, and treats his physical handicap as simply one more difficulty to overcome. Glenn is drawing up his expedition plans with the assistance of former British Antarctic Survey Base Commander, Paul Rose. His support vessel is being operated by seasoned Antarctican Greg Mortimer, the first Australian to climb Everest and K2. Glenn will be setting out for the frozen continent in December. He hopes to take to the (rather chilly) waters around Antarctica at Christmas. Glenn is also planning to camp on the Antarctic Peninsula during the course of the expedition. He will be posting regular updates at www.glennshaw.com/South before and during the voyage. 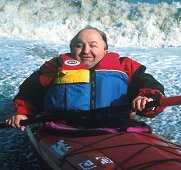 "I've wanted to kayak amongst the penguins for years," Glenn enthuses. "Now, thanks to a Winston Churchill Memorial Trust Fellowship I have been able to turn my dream into reality." Glenn's previous adventures have included a trek in the Himalaya, four attempts to cross Canada's Continental Divide using huskies, and a solo canoe voyage through British Columbia and Alberta. 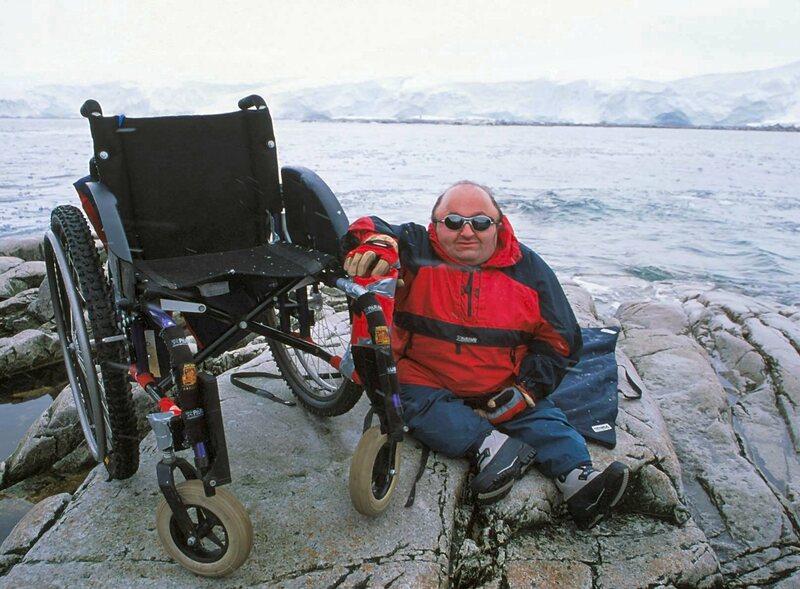 A Fellow of the Royal Geographical Society, Glenn is a past recipient of a ski scholarship from the American National Sports Centre For The Disabled. 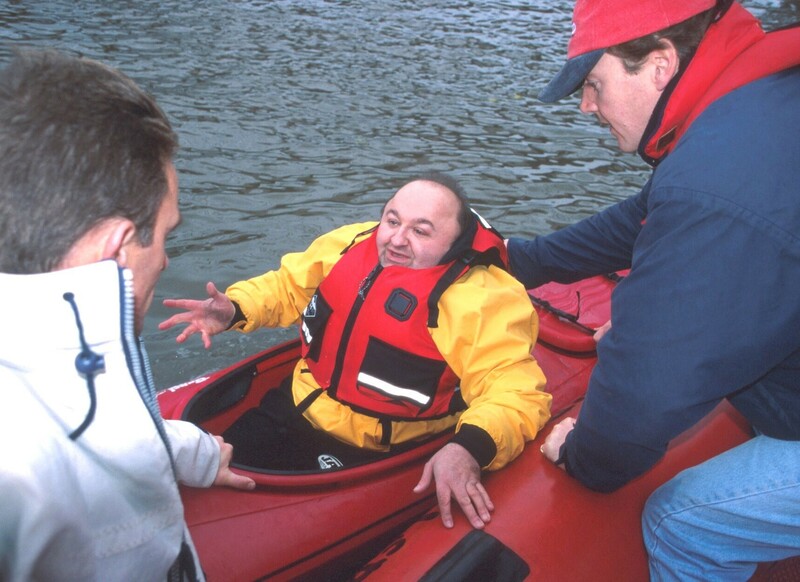 He has also worked with Brunel University's Research and Development Team to test and develop kayaking equipment for fellow disabled explorers. The following images are available in a larger format. First landing in Antarctica, Portal Point. To download a photo directly to your computer click on the hyperlinked text under each image using the right mouse button (on PC) or hold the mouse button down (on Mac). If you're an Internet Explorer user, chose "Save Target as...". In Netscape select "Save Image as...". In order to be informed as soon as new diary information is added please subscribe to our mailing list.